Family Life by Akhil Sharma: Slate Whiting Second Novel List title. 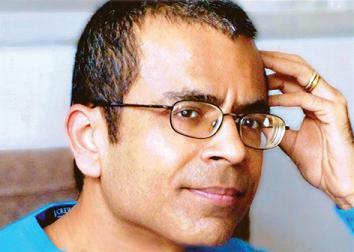 The saga of Akhil Sharma’s magnificent second novel, Family Life. In 1911, Ezra Pound attempts to capture a vision he had one day while exiting a Paris subway station. He junks that 71-line poem, deeming it a “work of the second intensity,” which is apparently some sort of Modernist insult that we should immediately bring back into common use. Pound has another go at it six months later, this time using 30 lines, and fails again. He fiddles and whittles, and the next year he produces “In a Station of the Metro,” a majestic two-line sentence: “The apparition of these faces in the crowd; / Petals on a wet, black bough.” Damn, bro. Who among us does not know the agony of trying to get it right, whether we’re Imagistic poets, supremely talented second novelists, or assistant managers trying to decide whether to include our Pomeranian-Lab mixes in our “Things I’m Thankful For” Facebook status updates? Is the final result worth all the wrong turns, the dead words, the torture? Akhil Sharma has suffered for your pleasure, and the results are magnificent. He suffered in his youth, as his novel takes off from his family history, and he suffered anew as he wrestled mightily, in heroic scale, with that essential writer’s dilemma: trying to get the words right. And trying. And trying. Eventually, he pulled it off. So here’s to false starts, and to all the brilliant solutions. Sharma’s second novel details the Mishra family’s emigration from Delhi to New York City in the late ’70s, and their undoing once oldest son, Birju, has a horrible swimming accident. 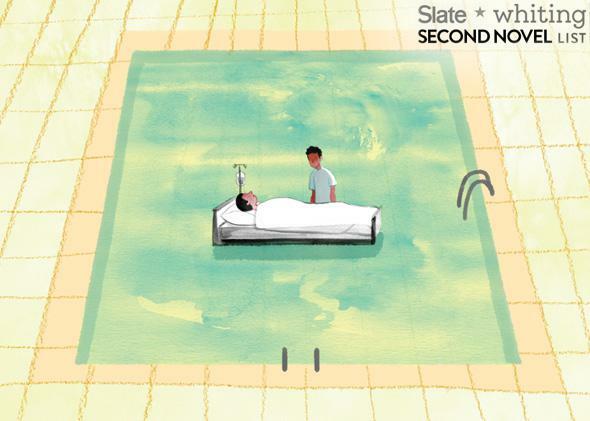 The resulting brain damage leaves the boy in need of expensive, round-the-clock care. Dad, who scraped up the money to bring his family to the U.S. for a new life, takes to drink, and Mom loses herself in her obsession over her son’s doomed rehabilitation. That leaves Ajay, the youngest son, who travels in circles, narrating his attempts to crack the inscrutable codes of adolescence and American-ness, and his own savage, unruly self. This is tragedy. If you have no acquaintance with this kind of misfortune, it will make you count your blessings, even as you marvel at the mesmerizing economy of Sharma’s sentences. If you are unfortunate enough to recognize some of the pain here, Sharma’s deft portraiture will send you shivering, and make you thankful for an artist who speaks for your unexpressed notions. But if it’s tragedy, why do I remember the jokes with such fondness? “My father loved science,” Ajay tells us. “The way he tried to bring it into his life was by going to medical clinics and having his urine tested.” Most reviews of Family Life have adequately conveyed its harrowing cruelties. But since this Slate/Whiting project is intended to steer readers toward second novels they may have overlooked, I’d like to point out that beyond the sadness, the novel contains a deep, nourishing reservoir of grim humor, thanks to Ajay’s deadpan and dead-eyed perceptions. He’s an invariably unnerving narrator, whether decoding the true meaning of It’s a Wonderful Life (“To me, the movie meant that if you become unhappy enough, almost anything can pass as happiness”) or trying to arouse sympathy in his bored classmates by devising cringe-worthy stories of Birju’s pre-accident powers (“My brother was a very fast runner. Once, he threw a ball straight ahead of him, and he chased it and caught it before it hit the ground”). There are plenty of cross-cultural miscommunications in Family Life, but gallows humor needs no translation. All that said, even though Akhil Sharma has pulled off an admirable feat with this book, I hope he has an easier time with Novel No. 3. For his sake. A person can only take so much. Family Life by Akhil Sharma. W. W. Norton. Sarah McNally on Marlon James’ The Book of Night Women.